If you’ve been longing for the day you can just scan your body at home to find out what’s wrong when you’re sick rather than head to the ER — your day is here. Meet Scout, a device that can monitor and track your vital signs, temperature, ECG, heart rate, oximetry and stress by just holding the it up to your forehead for 10 seconds. 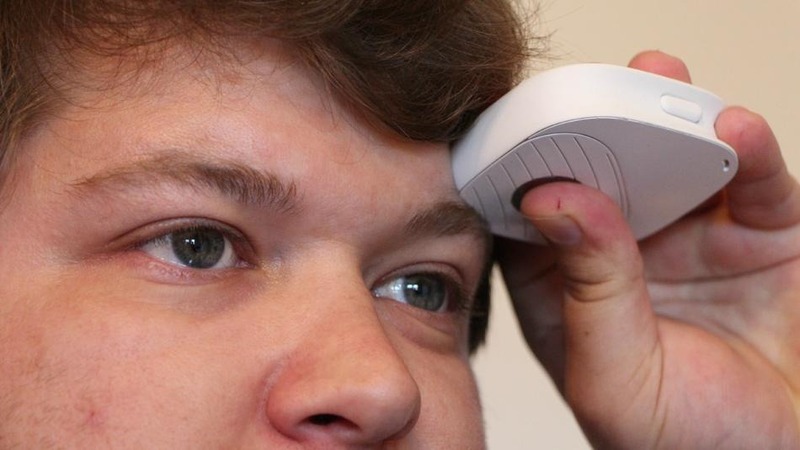 As simple as it sounds, to use the device you simply hold it against your forehead and wait. Results are synched from Scout to your smartphone, where you can track your health over time. On a basic level, you can see that your temperature or heart rate is elevated from the norm at any given time. On a larger level, you can also see potential problems headed your way by noticing abnormalities before they become physical issues. 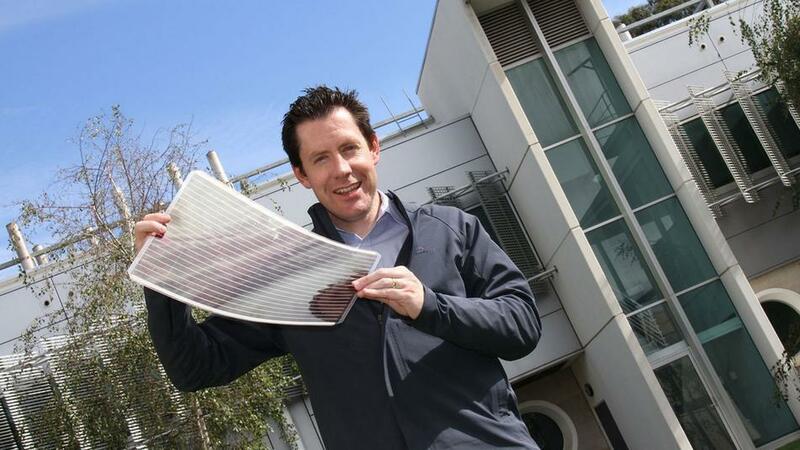 The researchers at Australia’s Victorian Organic Solar Cell Consortium (VICOSC) — a collaboration between the Commonwealth Scientific and Industrial Research Organisation (CSIRO), the University of Melbourne, Monash University and industry partners — have managed to print photovoltaic cells the size of an A3 sheet of paper. “There are so many things we can do with cells this size. We can set them into advertising signage, powering lights and other interactive elements. We can even embed them into laptop cases to provide backup power for the machine inside,” said CSIRO materials scientist, Dr. Scott Watkins. These cells produce 10-50 watts of power per m2, and could be used to laminate the windows of skyscrapers, giving them an additional source of power. Or they could be printed onto materials such as steel, meaning they could be embedded into roofs of buildings. Photovoltaic cells — the building blocks of solar panels — have been printed before, but the printing process was different. One of the most important aspects of this approach, claims Watkins, is accessibility. “We’re developing our processes to be able to use these existing printing technologies so that the barrier to entry for manufacturing these new printed solar cells is as low as possible,” he said. Recent changes: Major update for Snapheal 2.0 with tons of new features is live! The new Snapheal includes: MacBook Pro Retina display support 3X faster & flawless erasing: thanks to innovative smart pixel identification algorithm New erasing tools & functions: polygonal lasso tool, higher erasing precision, one-click switch between erasing modes New Retouch & Adjustment tools for Pro color play Clone & Stamp tool significant performance optimization User interface improvements Lightroom 4.0 import support OS X 10.8 Mountain Lion compatibility Overall memory usage and performance improvements iCloud support. People like and respect Photoshop. People vehemently do not like or respect Photoshop on the Cloud. Google executive chairman Eric Schmidt said that Google was going to put google glass ‘out there’ and see what people did with it. Google Glass is still in its infancy, and its current capabilities are quite limited, but most would probably agree that the possibilities it opens are endless. How cool it would be if Glass could show us a GPS route as we rode a bike? 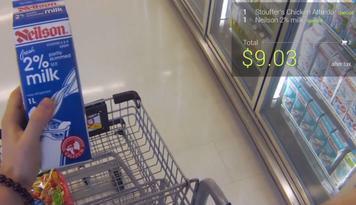 What if you could use it to scan any barcode and instantly get info about the product? Google sez Google Glass is to be for sale by the end of 2013. It has also said it won’t be. A study published in this month’s Nature suggests that scientists have found a region of the brain that controls aging. Turn it off, they theorize, and you could add 20 years to your life — presuming it works in humans, that is. The research, conducted by the Albert Einstein School of Medicine in New York, injected mice with a substance that inhibits a particular molecule in their brains. The hormone is related to inflammation and stress, and was found to increase in the hypothalamus as the mice got older. The fact that inflammation and stress makes us look and feel older — indeed, that it helps kill us — isn’t news. What is disturbing to learn is that the brain is deliberately initiating this reaction. Now, at least, we may have found how to turn it off. Not only did the mice who got the inhibitor live 20% longer — which would translate into a couple of decades in human terms — but their quality of life stayed the same. Muscle strength, bone density and skin remained the same. The experiment even worked if the mice were middle-aged when the injections began. If the research translates to humans (a big if), scientists think the elderly among us should go first, particularly patients with brain-related illnesses such as Alzheimer’s. “If we’re going to translate this research into medicines that can help people, clearly we cannot start very early in life,” Harvard molecular biologist David Sinclair told Nature. Terrafugia to Produce Vertical Takeoff, Flying Car Terrafugia’s TF-X is currently under development. The vertical takeoff and landing flying car will also sport dual plug-in, hybrid-electric engines to power its vertical rotors. Back on May 5, 2003, Reed Hoffman launched LinkedIn in his living room and asked several hundred of his friends and colleagues to join. Ten years later, the social network for professionals has more than 200 million users, 3,700 employees and 26 offices around the world. Looking back, it almost seems inevitable that LinkedIn would become a huge hit, but it took awhile before the network really started to take off. On some days, as few as 20 people signed up to use the service. “At the end of our first month, we had 4,500 members in the network,” Hoffman wrote in a post Sunday to commemorate the 10th anniversary of launching LinkedIn. “10 years later, we’re honored and humbled that so many of you have made LinkedIn a part of your daily professional lives.” It’s an accomplishment for a startup in any industry to survive for a decade, but it’s particularly impressive for Internet companies to enjoy that kind of longevity. LinkedIn was founded in the aftermath of the Dot-Com bust, at a time when the biggest social networks were Friendster and MySpace. LinkedIn launched before most of the social networks that are considered big players today. It’s about a year older than Facebook, three years older than Twitter and eight years older than Google+ — though it’s younger than Google itself, which launched in 1998. Unlike some of its competitors, LinkedIn’s team focused early on creating a business model. In 2005, two years after launching, LinkedIn introduced job listings and tiered subscriptions to generate revenue. Now, LinkedIn is generating more than $300 million in revenue each quarter. To celebrate its first decade as a company, LinkedIn put out a collection of pictures showing how the website has evolved over the years from a relatively static page with some basic information about your professional connections to a dynamic social network for businesses and individuals alike. During August’s OppiKoppi Music Festival, attendees can order beers from their phones to be delivered the event’s District 9 campsite. The beer-equipped drones will swoop down and deliver beer via parachute to the appropriate customer, as explained in the video above. The organizers say the beer drones are now hand-guided, but in the future they’ll fly on a GPS grid. But this 21st-century service might not fly without its share of turbulence: Targeting the right customer amongst the crowds at OppiKoppi will be an interesting challenge to overcome. And festival attendees might not have the greatest sense of motor control for catching their drink order, after having one too many. This idea leads to several interesting possibilities. Pizza and other foods delivered to your home (or current location), Amazon, Fed Ex, UPS and USPS deliveries.